Cycling Ulster held three information meetings recently focused on new requirements for race promoters to help increase safety in 2019 and on matters relating to Cycling Ireland insurance for all events. Cycling Ulster and the PSNI have agreed that signage as outlined below is mandatory for competitive events in NI. All competitive road events (ie. road races and time trials) going forward will be required to have a Highway Code recognised sign that must be located on each additional road joining the course. 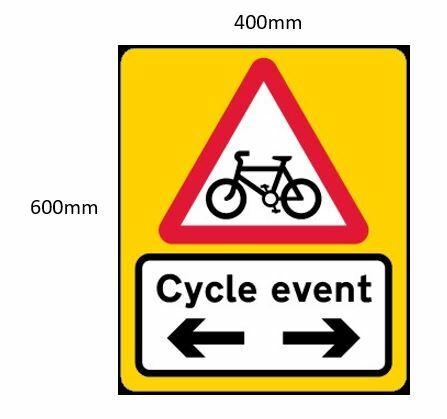 The sign will have to measure 600mm x 400mm and have reflective properties. A photo of the sign can be seen below. Cycling Ulster are aware that this will be added expense for clubs and are therefore engaging with potential suppliers over the cost of each sign with the intention that Cycling Ulster will also help reduce the fee with the supplier by subsidising the price. Any business who is interested in supplying these signs should contact Cycling Ulster by e-mailing patrick.withers@cyclingireland.ie by Monday 28th January at 5pm. Clubs may of course decide to use their own supplier as long as the signage requirements are adhered to. 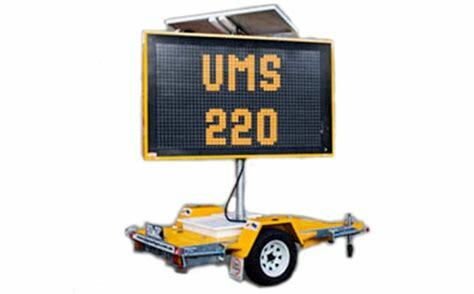 Competitive road events that take place on dual carriageways will also require VMS signage to be located on either side of the dual carriageway. While this requirement will affect a small number of race promoters, clubs that it does effect should contact Cycling Ulster to explore ways in which we may be able to support clubs promoting competitive events on dual carriageways. Clubs should note that these requirements on signage refer to all competitive road races and time trials and that this therefore includes non-open events, traditionally mid-week events known as ‘club races’ or ‘league races’. Several matters in relation to insurance were also covered in these meetings. Once an event has submitted their full Risk Assessment and all is in order the event is fully insured under the Cycling Ireland policy, providing the clubs covers all the points and steps they have highlighted in their Risk Assessment. Cycling Ireland also offer indemnity cover for venues for events such as event headquarters at a cost of £60 per event and temporary vehicle insurance which is £30 for a CI member and £40 for a non CI member. Links to the forms for these are provided below. Clubs who have any queries about the above should contact Cycling Ireland Events Officer, Garry Nugent, garry.nugent@cyclingireland.ie. Further information on signage supplier will be available shortly, any queries in relation to this should be directed to Patrick Withers, patrick.withers@cyclingireland.ie.